A house that divided opinion for having thousands of empty beer cans stuck to the outside walls has been demolished. The property in Raby Road, Hartlepool, that become known locally as the ‘Can House’ was demolished today. It was the last of a number of older, derelict properties in the Dyke House area, to be knocked down as part of a housing regeneration scheme. A number of residents in the area described the house as “an eyesore”, while others have defended it as a piece of art. Former occupant Philip Muspratt spent more than 10 years decorating the outside of the house with thousands of empty beer tins and glass bottles making different patterns. The house and an adjoining property were reduced to rubble today by contractors. But commenting on the Mail’s Facebook page Katharine Anne Craggs described the demolition as a “shame”. Mr Muspratt, who died in 2015, previously told how the house attracted the attention of tourists including those from America. Housing provider Thirteen acquired the house which had been empty for some time as part of the Willow Fields development comprising 26 two-bed and three-bed houses for affordable rent and 38 two-bed bungalows for affordable rent and shared ownership. Work started last year and has seen a number of other mainly pre-war homes also demolished. 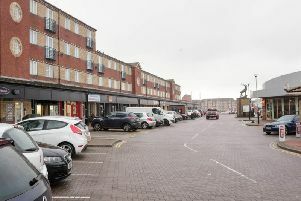 Hartlepool Borough Council leader Councillor Christopher Akers-Belcher added it complements other regeneration schemes near to the town centre where outdated properties have been replaced by modern homes.